Ohhhh Rocky. Fresh after dropping that “Fukk Sleep” video featuring him and FKA twigs turning looks and jacking cars, this weekend the rapper and general style icon attended LACMA’s annual art and film gala. The event was sponsored by Gucci, and saw the likes of Lana Del Rey, Courtney Love, Hari Nef, and St Vincent dressed head to toe in designer Alessandro Michele’s fantastical designs. 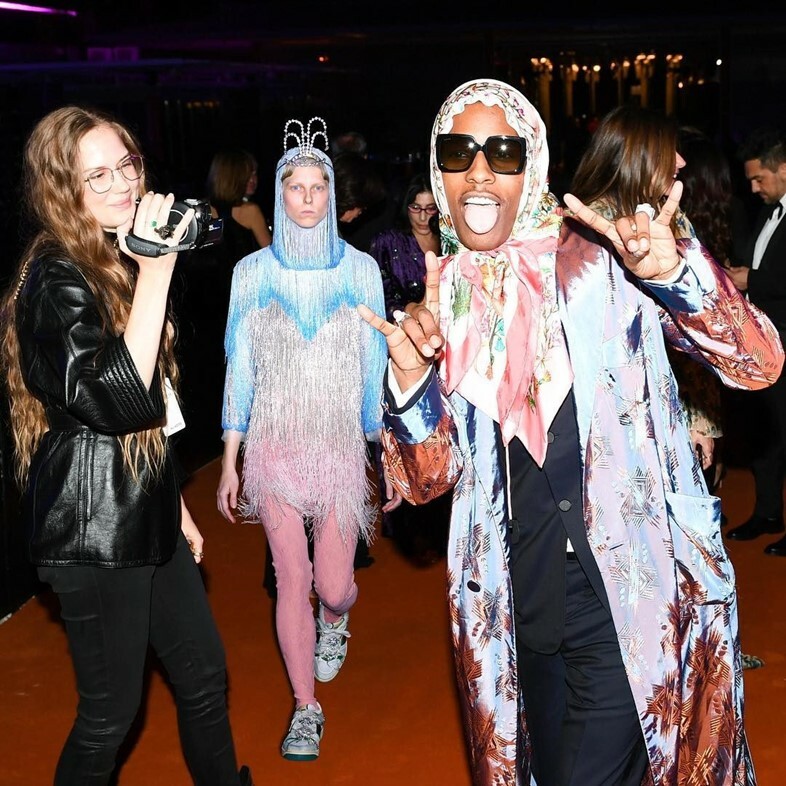 Sure, everyone looked typically great (shouts to Kiki Layne), but we gotta say: A$AP stole the show. Why? Because he wore a silky floral babushka scarf, and he looked great. Paired with a Gucci Cruise jacquard jacket and Gucci DIY tuxedo, Rocky finished off the look with a pair of shades. While his self-love is admirable, admittedly, the internet is divided. Does he look like the queen? Does he look like he’s returning in disguise for another free sample? Is this it, chief? The Russians were loving it though, if the fire emojis and ‘xaxaxa’s on his Instagram comments are anything to go by – he captioned a regram from @siduations with, simply, ‘BABUSHKA BOI’. Head coverings of all sorts have been cropping up on runways lately, with some prompting us to ask where the line was between headscarf and hijab. In Rocky’s case, the grandma ref is pretty clear, though.